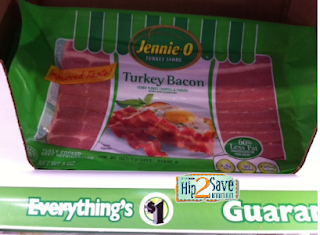 Free Jennie-O Turkey Bacon w/ Coupon! Wow, check out this awesome deal you can get on turkey bacon at Dollar Tree! NOTE: To change the zip code, click on the "Local Coupons" tab and enter it into the box and then click the arrow. Then, click on the "Coupons" tab to see the regular coupons.